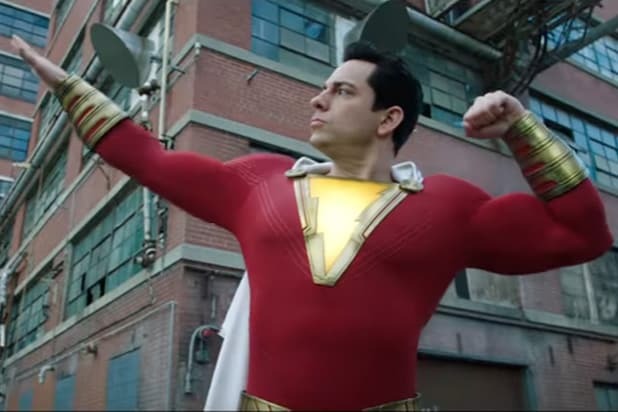 We haven’t quite gotten into the thick of this year’s comic book movies yet, but with DC Comics’ “Shazam” we’re getting there. The 2019 superhero slate is about to ramp up in a big way with “Hellboy,” “Avengers: Endgame,” “X-Men: Dark Phoenix” and “Spider-Man: Far From Home”set to dominate the summer. For a long time, movies based on DC properties eschewed the practice that became the norm for their Marvel counterparts — post-credits scenes. Marvel movies, and movies in the Marvel Cinematic Universe in particular, loved tossing in a bonus scene during and/or at the end of the credits to tease future movies or just add a little extra joke. But DC didn’t do that sort of thing until very recently, with “Justice League” back in 2017 and “Aquaman” just a few months back. So does “Shazam” follow the recent DC trend by including any bonus scenes after the credits roll, or does it stick with the old norm for DC flicks by skipping any extra teases? The answer is that “Shazam” does have two extra scenes after the credits roll – both a mid-credits scene and a post-credits scene. We’re going to discuss these two extra scenes below, so if you’re just here to find out if you need to stay in your seat once the credits begin and don’t want to be spoiled, you can close this article now. In the mid-credits scene, the villainous Dr. Thaddeus Sivana (Mark Strong) is locked up in prison cell where he has spent most of his time frantically drawing the seven magic symbols on the walls in an attempt to gain access back to the Rock of Eternity. Dr. Sivana then hears a voice coming from the window and sees a caterpillar-like creature (which was seen earlier in a glass container inside the Rock of Eternity) talking to him. The caterpillar creature is none other than “Shazam” comic book villain Mr. Mind. In the “New 52” comics run, (which “Shazam” is based on) Mr. Mind teamed up with Sivana and worked with the Monster Society Of Evil. Interestingly, Black Adam — who will be played by Dwayne “The Rock” Johnson in his own standalone movie — is also a member of that group in the comics. Do we smell some kind of crossover, even though DC has kept the whole shared universe thing to a minimum since “Justice League”? Read more about it here. The second bonus scene, the post-credits one, is just for laughs instead of teasing another “Shazam” movie. This one does reference “Aquaman,” continuing the gag from earlier in the film where Freddy and Billy were testing out what powers Billy might have as Shazam. This time, they’re having Shazam try to talk to fish. LOL. Directed by David F. Sandberg, “Shazam!” follows foster child Billy Batson (Asher Angel), who is chosen as “Champion of Eternity” by an ancient wizard (Djimon Hounsou) and granted the ability to transform into the superhero Shazam (Zachary Levi). With the help of his disabled foster brother and superhero fanatic Freddy (Jack Dylan Grazer), Billy learns to master his powers and takes them out for a joyride but is forced to get serious when his powers attract the interest of the twisted industrialist Dr. Thaddeus Sivana (Mark Strong). Will ‘Shazam!’ Herald the Arrival of Another Superhero Box Office Star?